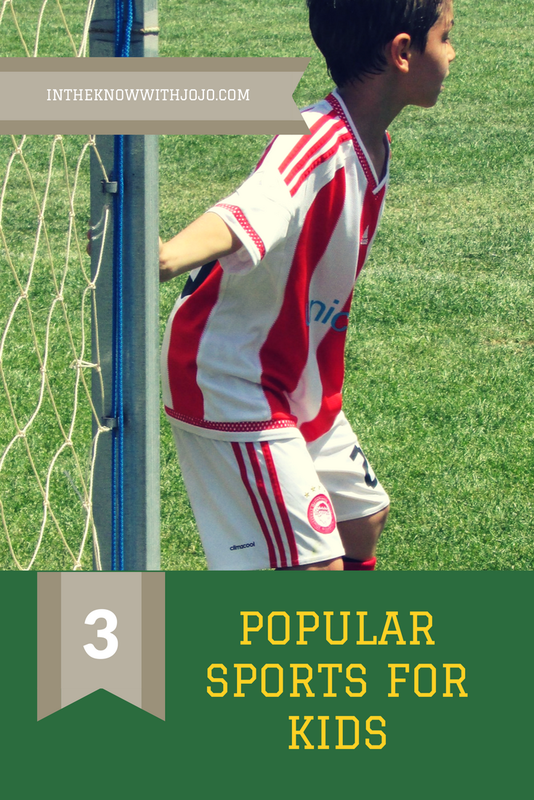 Spectrum Diversified #Valentine's Day Gift Guide Review and Giveaway! One of my mini resolutions for 2017 was to get organized! I don't mean just get it together I mean get really organized, my life, my home and my spending! I started with my home and Spectrum Diversified is a huge help! My closets are always cluttered because it is full of the kids toys, all of our clothes, shoes and my toddlers blankets. Spectrum Diversified has a solution for every room in your house's clutter. I was in aww when I saw the Closet and Storage section Spectrum Diversified has. They have everything you can imagine from the amazing Wall Mount 4 Tier Vertical Basket Rack I chose to over the door iron holders. They truly have a solution for every room in the house. I had so many clothes and items stored in the top of my closet that I caused my closet to fall in from the weight. The bathroom is always cluttered because my kids have so many bathroom toys. 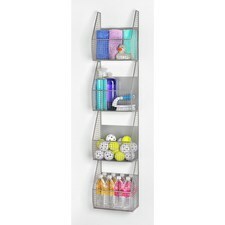 The Wall Mount 4 Tier Vertical Basket Rack stores shampoo, soap, conditioner, all the kids toys, bath poofs, razors and everything else you can imagine effortlessly. 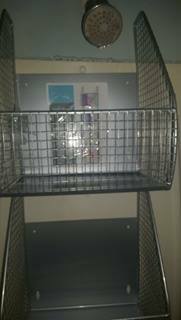 I was always loosing everything I stored before now I just use the Spectrum Diversified 4 Tier Vertical Basket Rack and everything I could never find before is all in one place and is easily visible. No more looking for razors or soap and having to jump out of my bath to retrieve them. This Valentine's Day get your wife the gift of space and give her something amazing from Spectrum Diversified that she can use in her home for years to come! I have a chubby hole in my bathroom, Very narrow 11 inches wide would be perfect. I'd use it in my shower area! I would use this in my closet. I would probably put this in one of our bathrooms near the shower area. I would love to win the 4 Tier Wall Mount for my sister. She would use it in her closet, too!